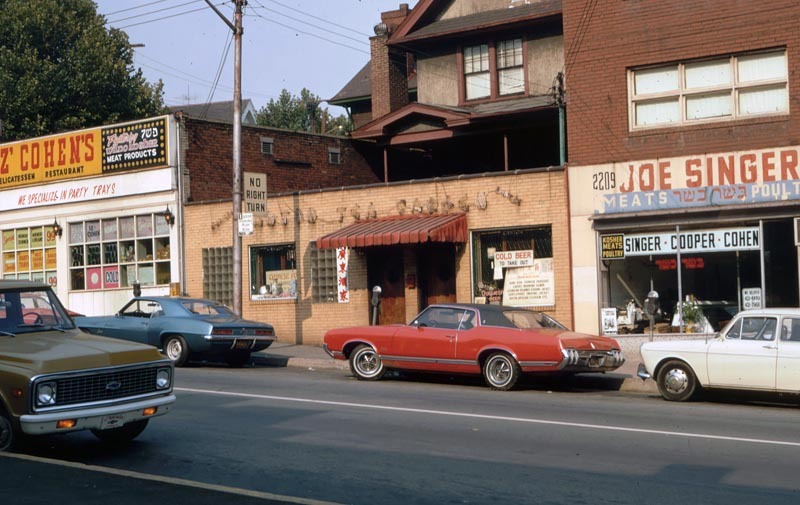 PennsylvAsia: Nine decades of Chinese food in Squirrel Hill. Advertisement in the June 29, 1934 Jewish Criterion. If it is true that in China people never heard of Chop Suey, all we can say is "they don't know what they are missing." Once you have eaten it at the CANTON TEA GARDEN you'll have no trouble in agreeing with us. And at the same place—2018 Murray Avenue, by the way—there are all sorts of other Chinese dishes too. But we have saved the best thing about the Canton Tea Garden for last. On some of these cold winter nights haven't you often had a yen (parton our mixture of Japanese with Chinese!) for some good Chinese food—yet you hated to go out to get it? Well, all you need to do next time you feel that way is to phone Hazel 1213, no matter when it is, or where you are—you can order what you want. Via Dr. Young Suh Kim. On December 9, 1950 it reopened at 2205 Murray Ave., as seen in the photograph above taken by a Korean graduate student in the late-1950s. The outline of the sign's lettering can still be seen on the present-day Squirrel Hill Shoe Repair. 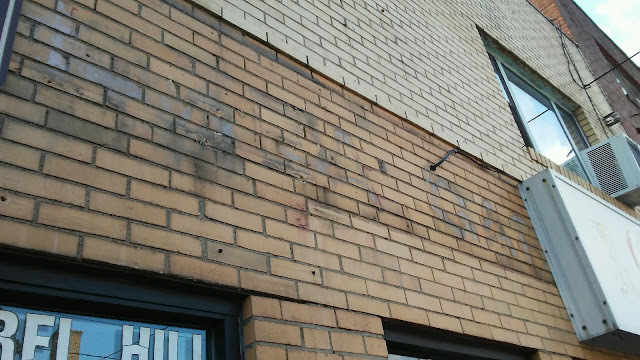 "Tea G" faintly visible at the Squirrel Hill Shoe Repair.